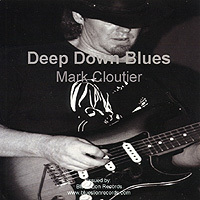 MWE3.com: What's up with this simply fantastic batch of instrumentals on your 2010 Deep Down Blues album? It sounds great and it seems like you went for a full on full court press with this album plus I know there's also a vocal track on Deep Down Blues too. The vocal track was recorded live on TK 99 Radio at Shiftys In Syracuse NY. Subcat Studios in conjunction with radio host Dave Frasina featured us live on sound check and I sang Traveling Guitar Man with my band the Double Barrel Blues Band. It's a cool song and basically is about playing and traveling. We did some long road trips in 2010 particularly Florida Bike Week and Biketoberfest. 24 hours in the van from Syracuse, NY to Florida and back! Twice in one year. MWE3: How would you compare Deep Down Blues with your last album Attitude With Gratitude? Also, can you say how many albums are now in your catalog? MC: I think I took more of a methodical laid back approach to Attitude With Gratitude. A bit more on the jazzy blues side with clear tones and less attack. Its a nice album with various approaches in guitar sounds and effects such as reverb and rotary tones. 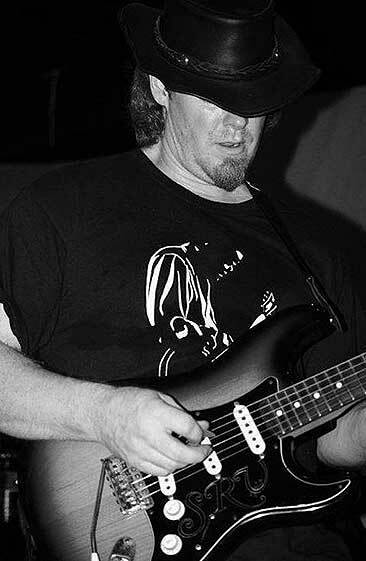 With Deep Down Blues I grabbed my Strat and Belvedere and stepped on the gas on several tracks. I love those old Hendrix blues jams such as Hear My Train Coming, Voodoo Chile, and Who Knows. In my early days as a guitar player I spent many hours absorbing as much as I could from that style, never really working things out note for note. I have about 10 releases on CD Baby and a few others that I have not offered to the public. They do quite well there as its now a very worldly market. I'm getting sales everywhere. I get a real charge when sales occur across the globe. There are no geographical limitations online. Digital distribution is becoming a huge thing. You and I spoke about that by phone and how we must continue to keep the physical hard copy CD alive and well into the future. Ninety percent of my sales are hard copies. Very happy about that! MWE3: Could you say something about who's playing with you on the new album and also can you offer any special insights into how you recorded the Deep Down Blues album? MC: Yes, I occasionally do what we would call online collaborations. JC Carroll from London England is a friend and brilliant musician-producer who sent me a cool backing track called Still Burn A Candle. I went about laying down some very subtle jazzy guitar lines throughout and he offered to let me use it on my album. I have done the same on his album 2008s New English Blues album which generated some very nice world wide press. 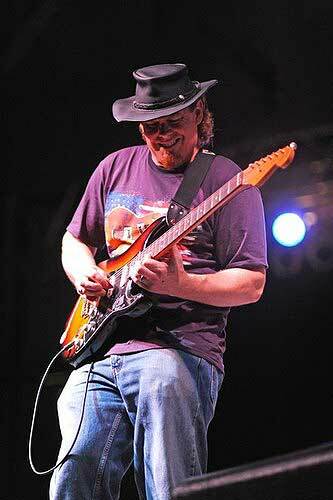 I have JC listed on my new record label web site - www.blueslionrecords.com. Traveling Guitar Man features my gigging band the DBBB! Recorded live as mentioned above. My approach to recording is somewhat simplistic in nature. 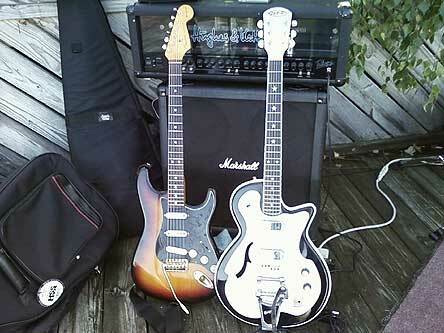 There are a few hours per day when I practice guitar or plug in and record. I play a Fender bass guitar on just about all tracks now. Some time back Lawrence Fritts from Iowa University gave me permission to use some of his drum backing tracks. Drums are something I cannot play so I have used many different online resources to get them. As far as how I actually record, I use Cubase software with a Lambda Lexicon USB, but, I may be upgrading soon to Pro Tools. Always trying to improve with my home recording productions. There is so much a musician can do at home and online now that we must take full advantage as money is so tight. I use a Hughes And Kettner 100 watt head and 4-10 Marshall cabinet. Just one microphone slightly above the left top speaker cone. Sometimes I crank it up to a point of it wanting to feedback but mostly I just search for the ballsy sound and if it needs a slap of reverb or delay I add it in during the mixing process. MWE3: Are you still using the SRV issue Strat? Can you offer some information about other guitars featured on Deep Down Blues and are there any new guitar additions? MWE3: What are your plans for the coming year? MC: Gonna keep pushing hard for new recordings and hope to gig as much as possible with some travel in the plans. I must give a plug to some people who help keep me chugging along. My band mates John Hart, Bill Satterly and Garnett Grimm of the Double Barrel Blues Band are great fellas and a blast to perform with. We plan on being busy in 2011 with the help of our booking agent Valerie Scott and B.E.B.E Inc. Also, a big thanks to my friend Bob Nadon who has been so supportive throughout the years. 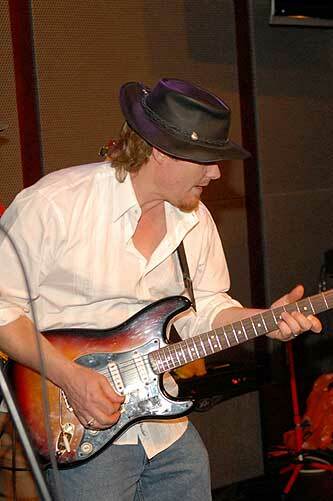 He is my partner now with my new Blues Lion Records label and we have plans to grow and take on new ventures. Cheers to all the great talent on line and the folks who continue to encourage me and the band. Special thanks to My wife Dawn, daughter Jolie and my parents who have put up with so much and continue to be there for me. Thank you Robert for being there for so many musicians across the globe. You help us get the word out and keep the art of music alive and well! !